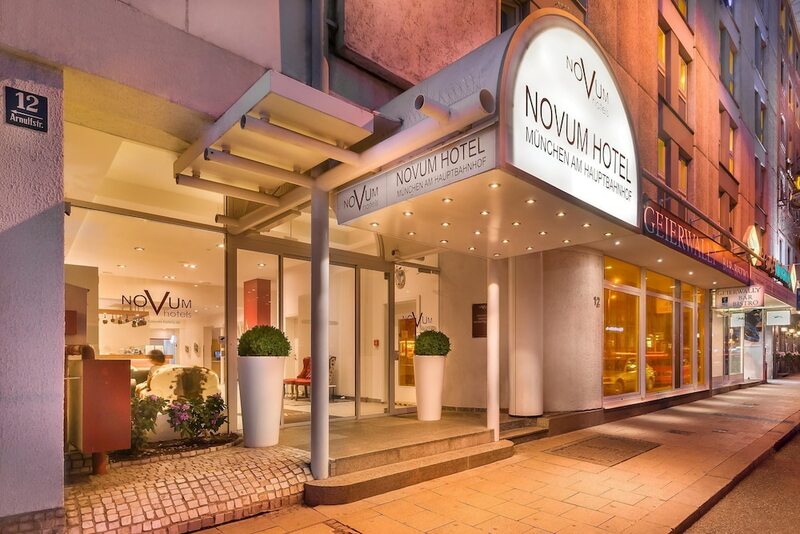 A stay at Novum Hotel München Am Hauptbahnhof places you in the heart of Munich, within a 15-minute walk of Karlsplatz - Stachus and Koenigsplatz. This hotel is 0.7 mi (1.1 km) from Klinikum Grosshadern and 1.1 mi (1.7 km) from Theresienwiese. Stay in one of 138 guestrooms featuring flat-screen televisions. Complimentary wireless Internet access keeps you connected, and cable programming is available for your entertainment. Private bathrooms with bathtubs or showers feature complimentary toiletries and hair dryers. Conveniences include phones, as well as desks and blackout drapes/curtains. Enjoy a satisfying meal at Geierwally serving guests of Novum Hotel München Am Hauptbahnhof. Wrap up your day with a drink at the bar/lounge. Buffet breakfasts are available daily from 6:30 AM to 10:30 AM for a fee.